Author Rod Farrington and Gorham’s donated more than 200 books to Big Brothers Big Sisters – a move they hope will inspire young people to develop a greater love for reading. Mr Farrington, a manager at Gorham’s, met Patrina Paynter, the executive director of BBBS, this past summer and got inspired for the giveaway around then. He said: “Gorham hosted an event where we were grilling hot dogs on a Saturday and people would buy them for $5, with the proceeds going to BBBS. I had my books on display and Patrina was with one of her Littles, who had read and really enjoyed one of my novels, and that experience really sat in my mind. I never stop thinking. The biggest surprise came when a handful of avid readers went to collect their books in person. More than anything the author hopes young people will enjoy the books and have fun. 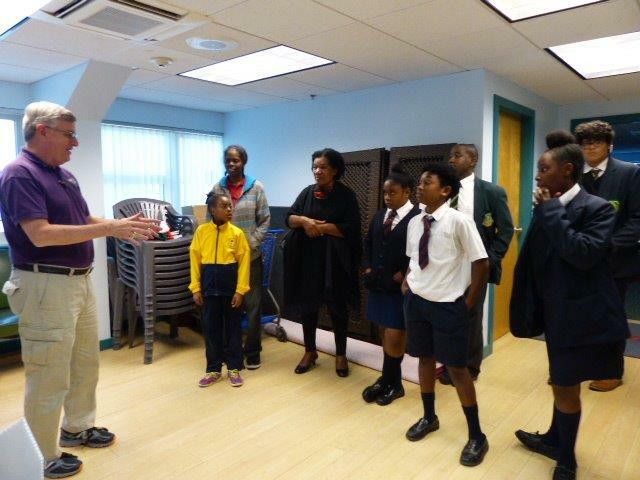 “So many kids spend their time with video games and not reading and to give them fun adventure books they can all identify with because they are all based in Bermuda, hopefully that will trigger them to want to read more and use their imaginations,” he added. Patrina Paynter said she was “very surprised” to get the call from Mr Farrington about the giveaway. “I thought it was a brilliant idea,” she said. “We have a few Littles that have read some of Rod’s books and are big fans! She said it was nice to see the excitement in the children’s faces upon receiving the books yesterday afternoon. 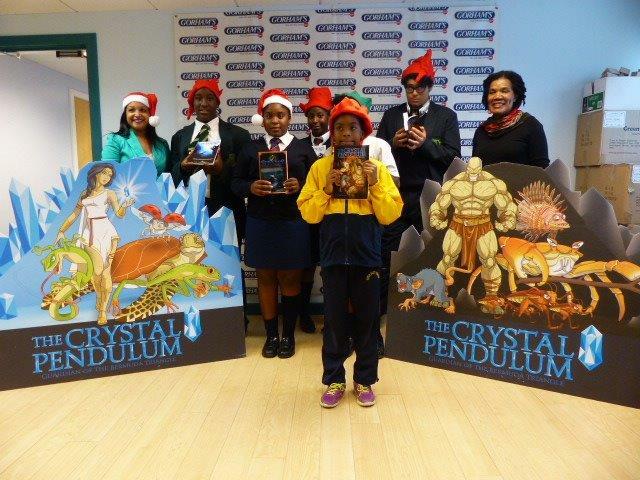 Avid reader Zamauri Richardson, 12, was one of those excited at yesterday’s book presentation. “I was in shock that an author wanted Big Brothers Big Sisters to come here, that somebody would take out their time for kids – to me that’s a really good person,” he said. The Whitney Institute student has been part of the mentoring programme since he was six years old. He said he has lots in common with his Big Brother, Pastor Dean Smith – they both used to take part in karate, they like eating and going to the movies. Hazajae Outerbridge, 12, on the other hand, admitted he liked to read. Mrs Paynter said many individuals and organisations have been generous to step up and ensure the families involved with BBBS have what they need for a Merry Christmas this year. However, one thing the charity is still looking for is more volunteers. “We are definitely in need of mentors [Bigs], volunteers and a Secretary for our Board,” Mrs Paynter said. “We want people to know that BBBS also offers Couples Matches where a husband and wife team can work together to mentor one of our Little Brothers. For more information on how you can help, visit www.bbbs.bm. 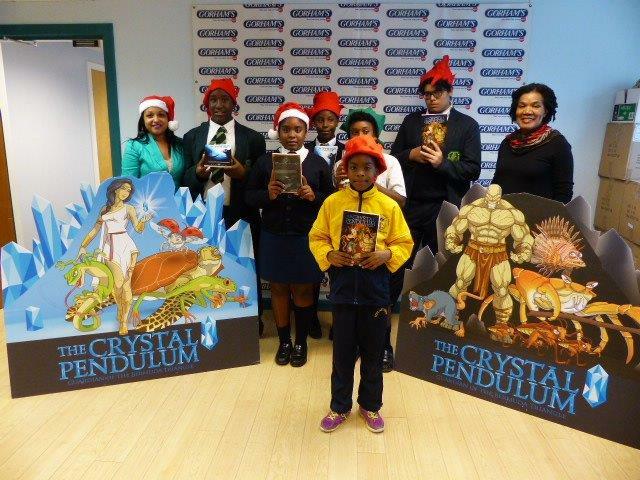 Mr Farrington’s latest book ‘The Crystal Pendulum’ is available at Bookmart, Bermuda Book Store, Book Cellar and Gorham’s for $9. This Saturday, he will be doing a book signing at the Bookmart at Brown & Co.from noon to 3pm.